Shoes For Them at the Windsor Preparatory School delivering 80 pairs of soccer cleats to the Y.E.S.I soccer program in Gambier. A happy Windsor student admiring the piles of shoes donated! A happy local Y.E.S.I player. This was honestly a great feeling to finally get out our first load of shoes. The Y.E.S.I coach was ecstatic at the amount of cleats we were able to collect as they needed more for the demand of players. 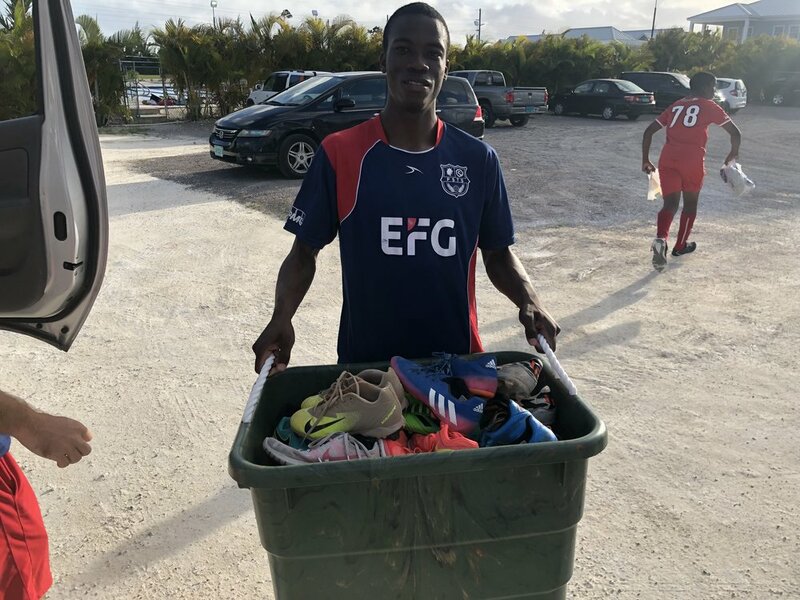 The principal of the Prep School was also happy about the amount of shoes to be donated and to see more kids on the field with cleats in the near future. Shoes For Them was more than glad to watch all the players faces light up as we unloaded the container full of the shoes including the little children jumping up and down out of excitement.